Performers include: David Gyasi, Christina Moses, Chris Wood, Kristen Gutoskie, Claudia Black, George Young, Hanna Mangan Lawrence, and Trevor St. John. Based on the Belgian TV series Cordon, this dramatic series revolves around the breakout and aftermath of a deadly disease. A mysterious and lethal epidemic breaks out in Atlanta so a wide reaching urban quarantine is quickly enforced. This forces those who are stuck on the inside to fight for their lives. Meanwhile, local and federal officials desperately search for a cure. Trying to keep the peace on the streets is police officer Alex “Lex” Carnahan (David Gyasi), a man who has quickly risen through the ranks of the Atlanta Police Department. Lex’s job becomes even harder when he learns that his longtime girlfriend, Jana (Christina Moses), and his best friend, fellow officer Jake Riley (Chris Wood), are trapped within the cordoned area. Also quarantined in viral ground zero is: 17 year-old Teresa (Hanna Mangan-Lawrence). She’s eight months pregnant and is now separated from her boyfriend on the other side. Katie Frank (Kristen Gutoskie) is an elementary school teacher who’s now placed on lockdown with her entire class — including her young son. Also inside is CDC researcher Dr. Victor Cannerts. He’s the doctor who initially made the controversial call to quarantine the area and is now racing to find a cure for the virus. On the outside, Dr. Sabine Lommers (Claudia Black) is leading the government efforts to contain the outbreak, and has asked for Lex’s help in enforcing the cordon – which grows increasingly difficult as the public trust deteriorates. And the public has reason to be wary, as journalist Leo (Trevor St. John) begins unraveling a conspiracy. He finds that something doesn’t add up in the official story being told. Torn apart from their loved ones, the survivors trapped within the cordon are fighting against not only fatal infection, but also isolation, fear, and the disintegration of society around them. As they begin to gain each other’s trust, hope remains — on both sides of the cordon — and unlikely heroes begin to rise. With only one shot to take Dr. Lommers down for good, Lex carefully plans his next steps. Jana, Suzy, Teresa, and Xander make their dangerous escape out of the cordon, but unexpected road blocks threaten to destroy their chance of making it home. Inside the cordon, Dr. Cannerts and Jake make a breakthrough discovery following a risky experimental treatment. Finally, with time running out, Lex is forced to make a decision that will change his life forever. First aired: July 19, 2016. What do you think? 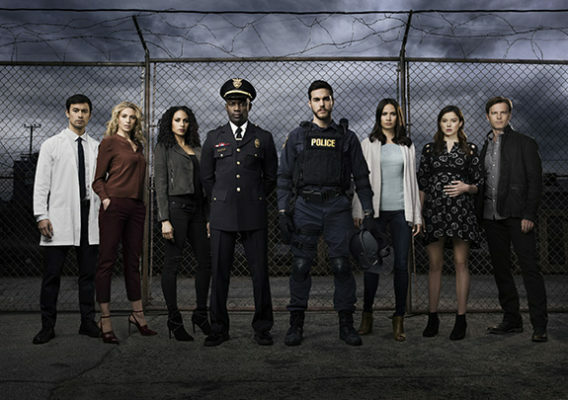 Do you like the Containment TV show? Do you think it should have been cancelled or renewed for a second season? I like the show. Why do they always leave you hanging. It is getting to the point to stop watching TV. They cancel the good shows and keep the stupid reality and contest shows. Tired of all these type of shows. I want the drama and silence fiction shows.